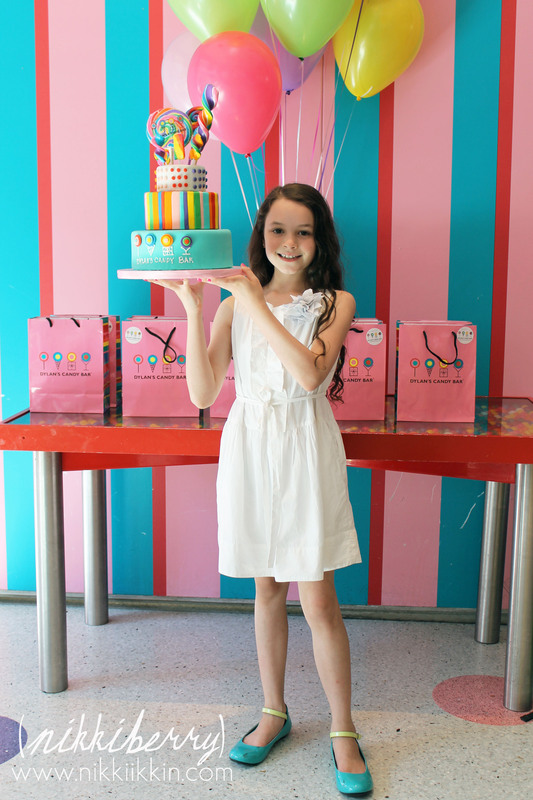 For my daughters 10th birthday we celebrated at Dylan’s Candy Bar in New York City. The party is all-inclusive but the cake and invitations included were not my style so I made my own. 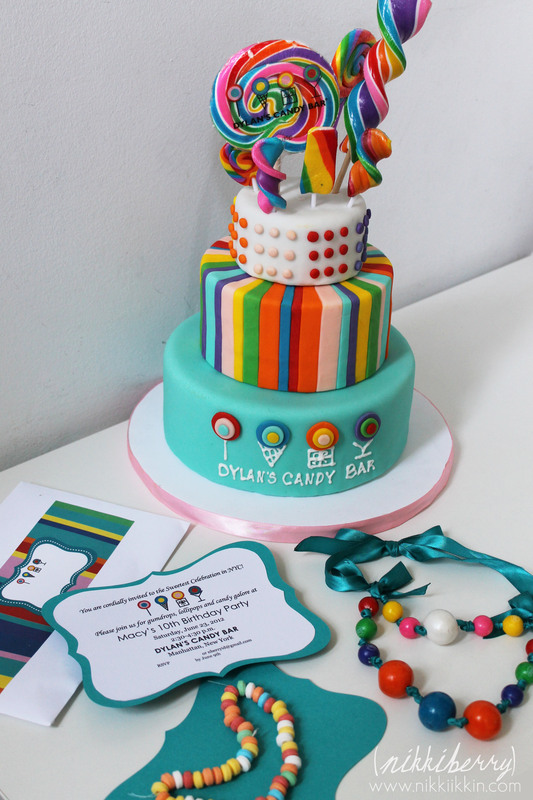 My candy cake was inspired by the signature cakes that Dylan’s Candy Bar uses in photo spreads and displays in the store. 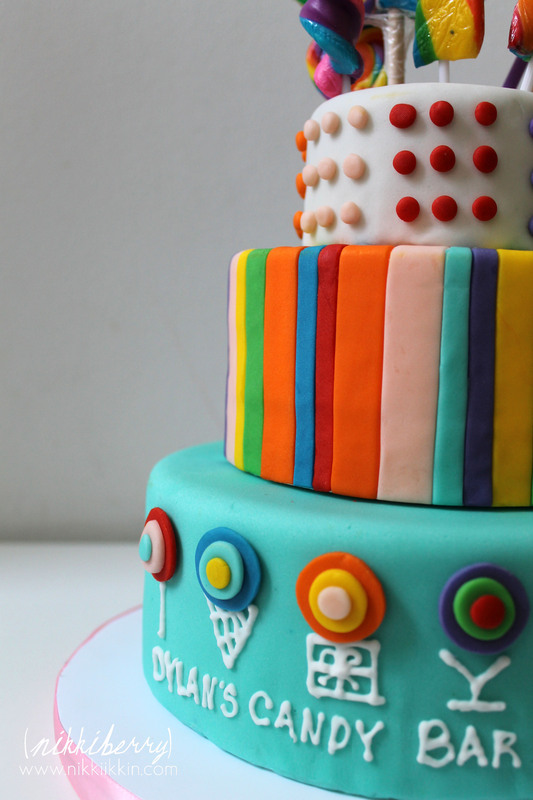 The striped second tier was the most tedious to decorate. 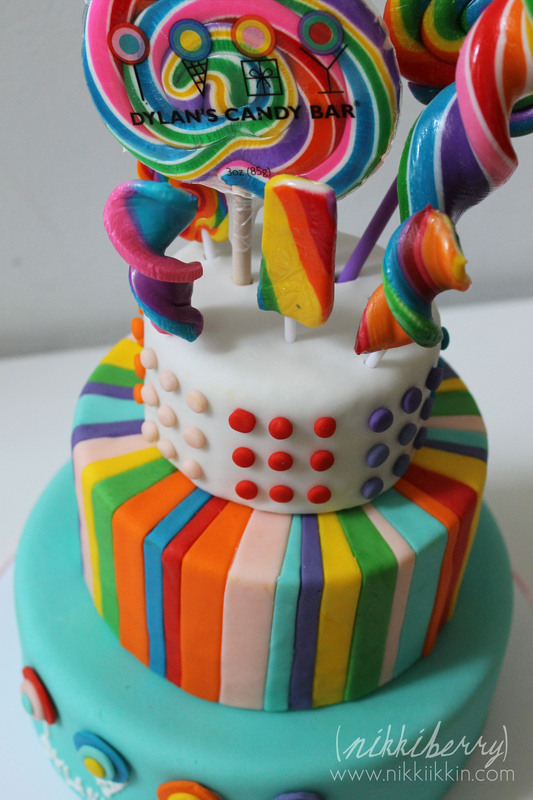 Each fondant stripe was cut to a taper as it wrapped the top of the cake, making a beautiful color wheel. 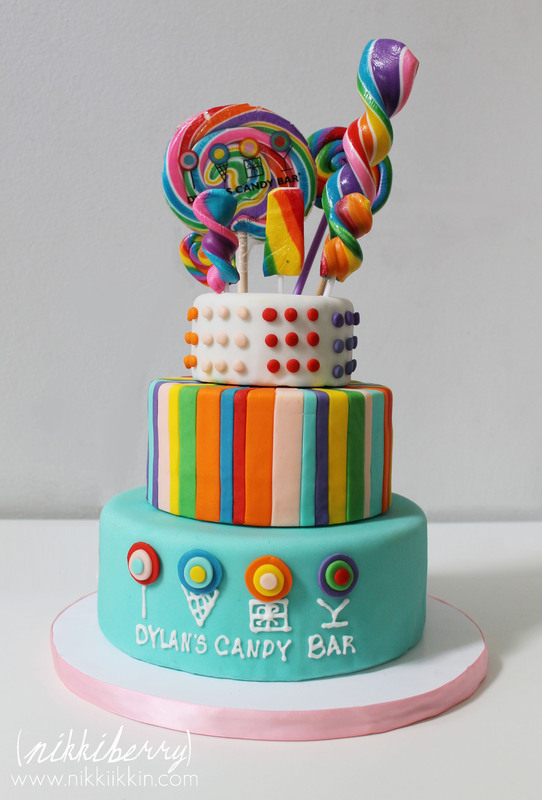 The top-tier mimicked a strip of nostalgic candy buttons and was topped with real lollipops. Each sweet guest was sent a custom candy invitation that included a real candy necklace. See my post on making these candy invitations HERE. Also pictured is a gumball necklace that my daughter made and wore at her party. I’ll be posting my methods and tips on making those soon! 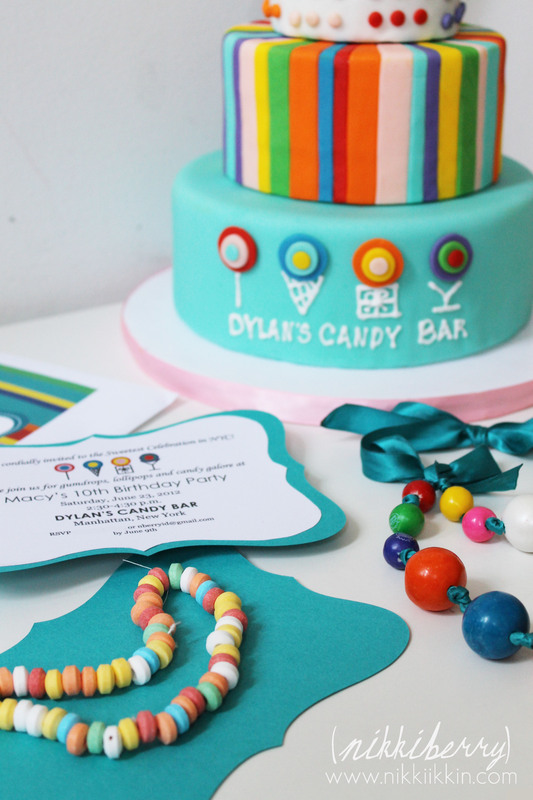 To see how the party at Dylan’s Candy Bar turned out click HERE!